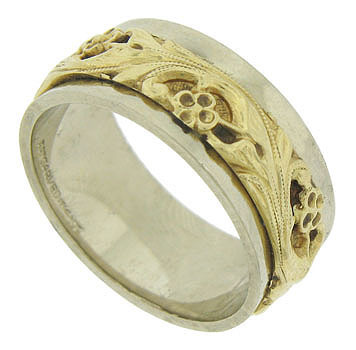 A yellow gold floral pattern crafted in relief, ornaments the center of this 14K gold men's wedding ring. Angled white gold edges frame the central design. 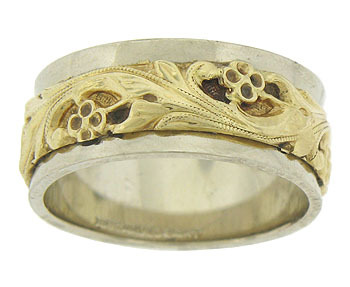 The estate wedding band measures 7.95 mm in width. Circa: 1970. Size 7. Cannot be re-sized.